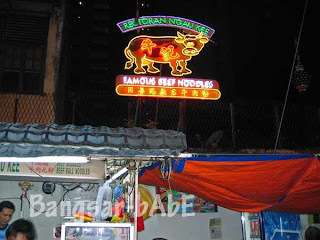 I’ve read a lot about Ngau Kee‘s beef noodles but never got around to trying it. I finally tried it for dinner today. 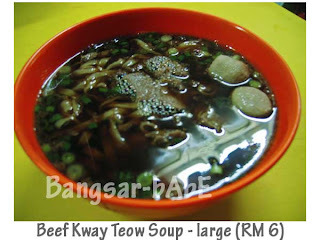 rif ordered the beef noodles (dry) while I tried the beef kway teow (soup), both large and minus the beef tripe. 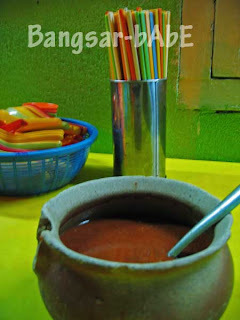 My kway teow came with thick, dark and flavourful broth. 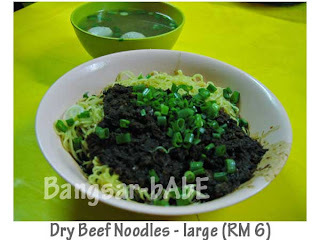 The beef slices were tender and mince beef gave the noodles a nice bite – pity there were so few beef slices. I thought the beef meatball was too smooth. I like mine to have a bit of rough texture. 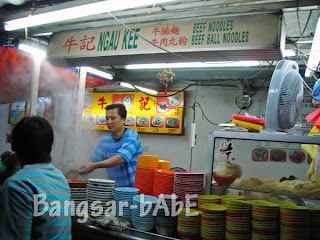 I prefer Soong Kee’s beef ball better as they taste more beefy. I reckon rif’s noodles were better than mine, but his clear soup was quite bland. He too, got very little beef slices for a large bowl of noodles. The wantan-like noodles were springy and firm to the bite. The mince meat topping was quite delicious; a combination of savoury and sweet resulting in a wholesome mince. The chili sauce was a bit diluted and too sour for my liking. It felt like eating lime with pounded chili. Our bowl of noodles cost RM6 each. Rather pricey I thought. Tastewise, the noodles were good, but nothing spectacular. 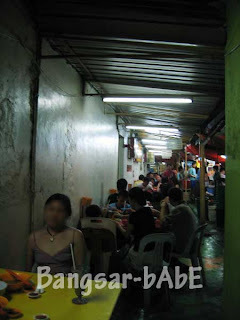 Their stinginess and not-so-clean ambiance makes me prefer Soong Kee to them. Verdict: Pretty good noodles, not that big portions and slightly pricey. Avoid this place at all cost. I’ve had lunch there before, the food is really tasteless and its extremely dirty. The last time i ate there, a rat was crossing the beam just above my head. OVERRATED, TASTELESS, and EXTREMELY DIRTY. As for the noodles, I thought they were alright – maybe because there wasn’t that big a crowd versus lunch hours.